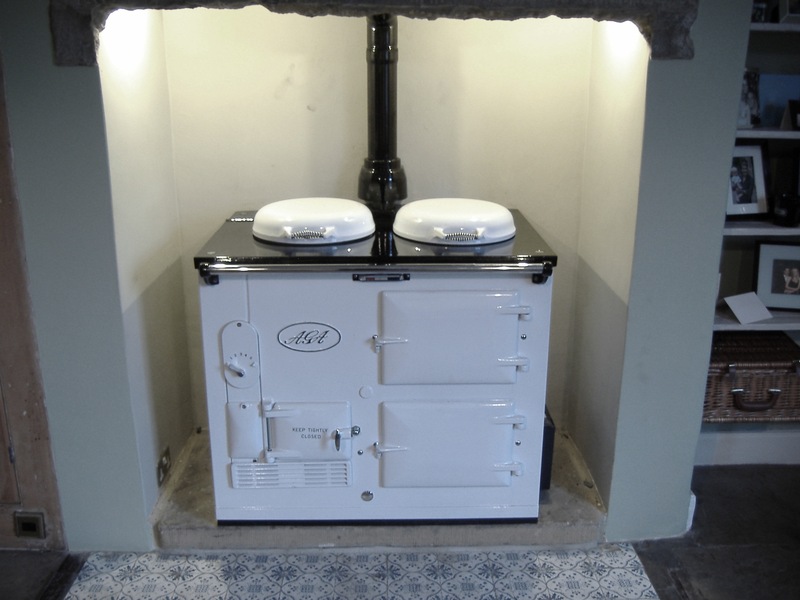 Here at Traditional Cookers of Yorkshire Ltd., we have successfully carried out gas conversions for many years. 1st. The On Site Kit: The gas valve is fitted to either the left or right of the Aga. The pipes, being main burner and pilot, run along the front of the Aga, all being concealed by a black conduit. 2nd. This method involves the stripping down of the Aga and all pipe work is then run internally. The valve remains to the left or right hand side. When converting to gas, the flue box to the top of the cooker has to be altered to a different diverter assembly. There must be at least 600 mm of straight lift in vitreous pipe off the Aga before a bend is introduced to the flue. Nearly always there is a bit of preparation to do in this area. The flue has to be lined from top to bottom in accordance with gas regulations. This work must be carried out by a Gas Safe Registered fitter. The basics of converting to gas are; firstly a gas supply is laid on to the left or right hand side of the Aga depending on personal preference or kitchen layout. It is then connected to a gas valve which is thermostatically controlled via a sensor to the top oven, which modulates the gas valve that is connected to a burner which works dependent on demand of the Aga. A site visit is highly recommended before any works commence.